The most important factor to influence the success of your fundraiser is the artwork itself. Parents consistently purchase more when their little Picassos create something fabulous in art class. Art teachers and docents bring out the best creative potential in their students. 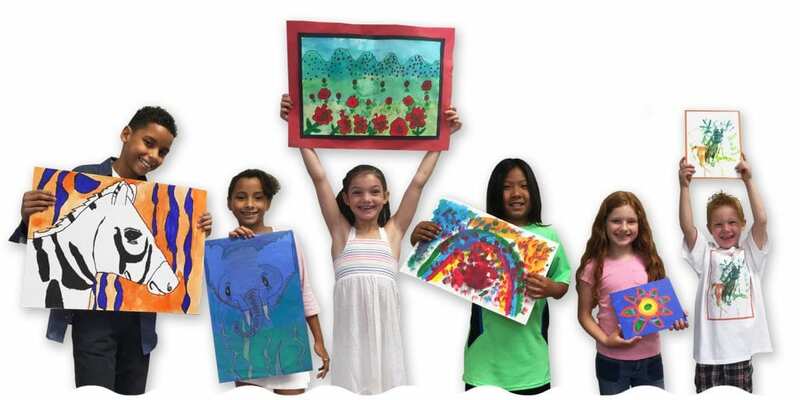 For over 20 years, schools have been sending us awesome artwork that consistently produces great results using these art fundraising guidelines.
. . . The most flexible in the industry! . . .
For best results, all artwork should be proportioned to 9” x 12” and can be either horizontal or vertical. Suggested sizes: 8” x 10”, 8 1/2” x 11”, 9” x 12” and 11” x 14”. Square art (for tile walls) should be no larger than 12”x12”. ARTWORK MUST BE NO LARGER THAN 12” X 17”*. Completely cover the paper with color minimizing white space to produce the most stunning results. Paint, markers, oil pastels, and paper collages are all very effective. Avoid light pencil, light crayon and fluorescent or reflective/metallic materials. Use good quality paper such as drawing paper or card stock. If using dark or black paper make sure that you use very bright colors that stand out for the best reproduction. Artwork must be flat, NO 3-DIMENSIONAL ITEMS! NO GLITTER, SALT OR SAND! Encourage themes that students and parents alike will enjoy. Refer to our lesson plans for great ideas. Art teachers should use their own curriculum when appropriate. As slight cropping may occur on some products. Parents appreciate having their child’s name and year/grade on the front of artwork. Please indicate which side is up with an arrow pointing to the top of the artwork if there is any doubt. *ARTWORK THAT IS LARGER THAN THAT WILL BE DIGITALLY CROPPED! ALL ARTWORK WILL BE RETURNED AT THE END OF THE FUNDRAISER!